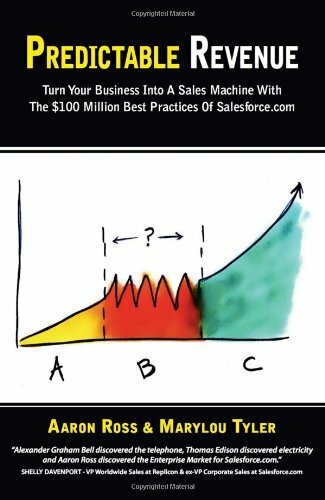 Aaron Ross - Before Predictable Revenue, Aaron worked at Salesforce, where he created a revolutionary Cold Calling 2.0 inside sales process and team that helped increase Salesforce's revenues by $100 million. The same process has since also helped companies like Responsys (sold to Oracle to $1.5 billion), and Acquia (named the #1 fastest growing company in North America) dramatically speed up new sales growth. Aaron graduated from Stanford University, is an ex-Ironman triathlete and graduate of the Boulder Outdoor Survival School. He lives in Los Angeles with his wife and five children (also expecting two other kids coming the way via adoption), loves motorcycles, and he keeps his work to 25 hours a week. His next book is underway with Jason Lemkin, The Predictable Revenue Guide To Tripling Your Sales.